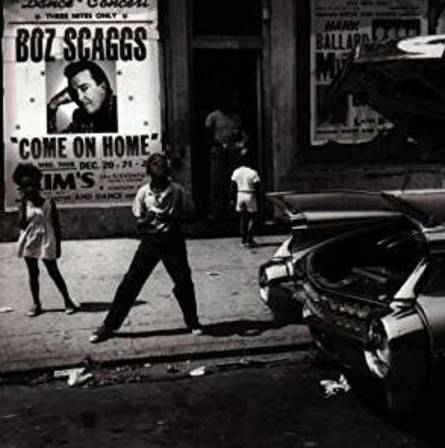 Boz Scaggs, Tom Coster, Ronnie Cuber, Dave Ellis, Willie Mitchell, Jim Keltner, Steve Freund, Kitty Beethoven, Anthony Blea, Ben Cauley, Jim Cox, Ricky Fataar, Jack Hale, Charles Hodges, James "Hutch" Hutchinson, Darryl Johnson, James Mitchell, Bill Ortiz, Scott Plunkett, Norbert Stachel, Rev. Ron Stallings, Fred Tackett, Wayne Wallace, Marty Wehner, Freddie Washington, Vince Lars, Mark Scaggs, Harry Duncan, Monte Owens, Lonnie McMillan, Willie Mitchell, Brenda Rutledge, Otis Cooper & David Matthews. I considered a lot of material for this record, and ultimately I chose the songs I liked to sing the most. (I could have stayed with Bobby "Blue" Bland and Jimmy Reed for twenty songs each, but as anyone knows who's tried to stand in those shoes, you might as well try to re-hang the moon.) Each of them reflects a different aspect of what we call rhythm and blues, a monumental contribution African-Americans made to twentieth century culture. The music is infused with their humanity and soul. The legacy of these men and these women has touched us all. *excerpt from "Blues In The Night"